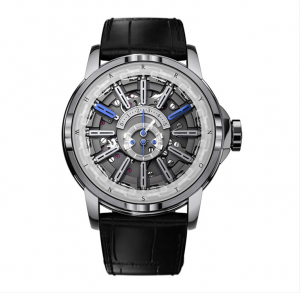 Harry Winston has enlisted the help of several designers and watchmakers to produce his recent collection. This collection is unique in that its watches are dedicated to explore the function of the Tourbillion. 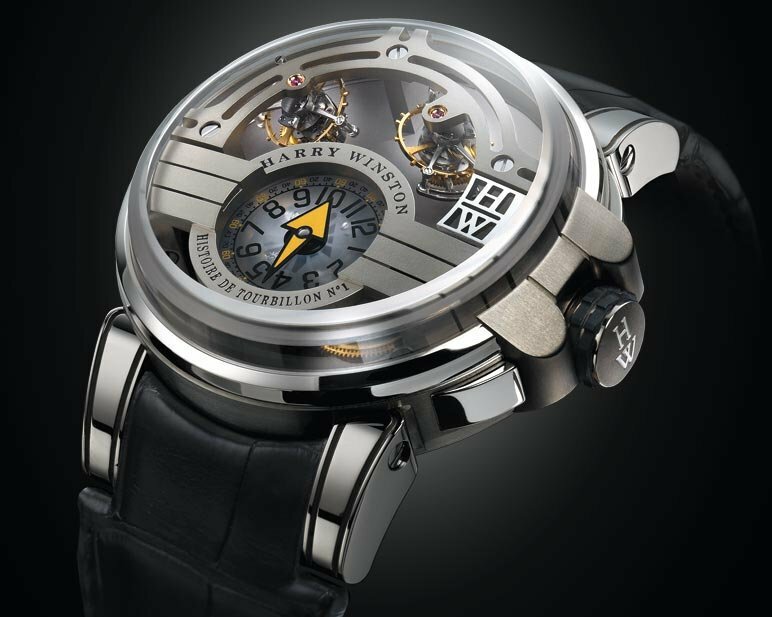 The first in this series and the instant model is the Harry Winston Histoire de Tourbillon No. 1. 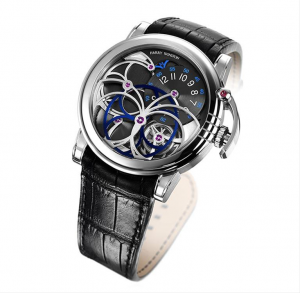 The Histoire De Tourbillon 1 comes in a very limited edition of 20 pieces. This tourbillon has a large sized case which measures 48 millimeters in diameter. 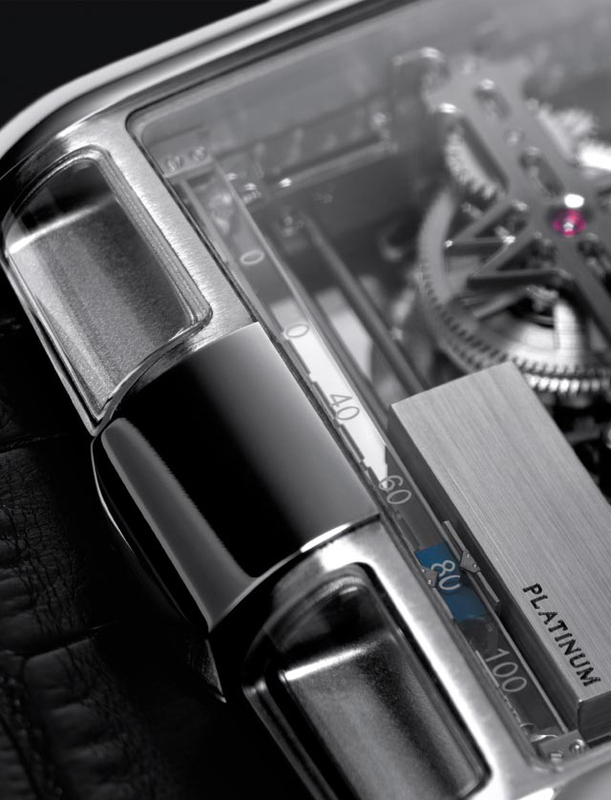 The case is made of 18k white gold and Zalium, which is an exclusive metal used by Harry Winston. This alloy of aluminum and Zirconium is lightweight and perfect for use on a watch. In addition to having low density, this Zirconium based alloy has great thermal resistance and durability. 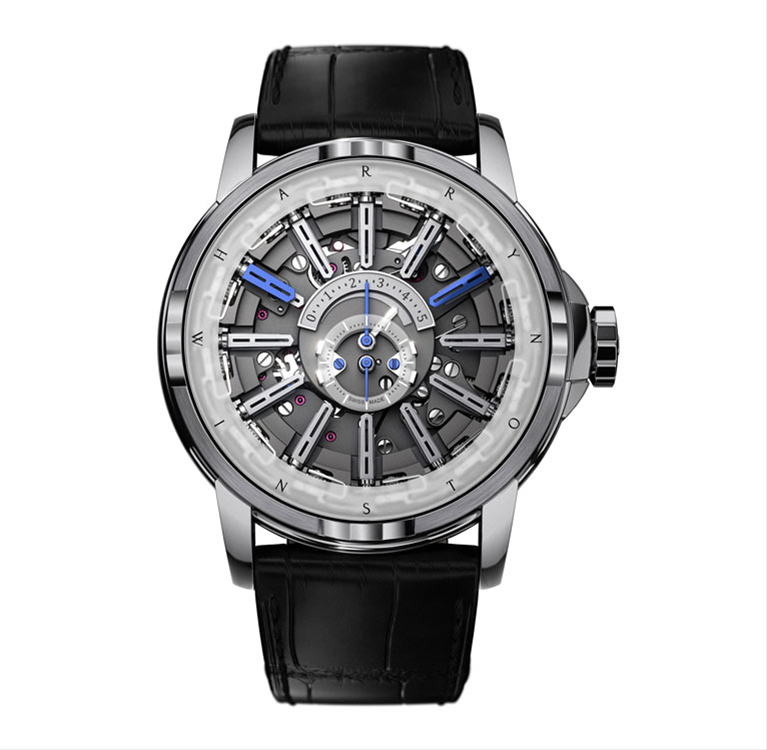 The front of the case and covering the dial is an eye grabbing sapphire crystal that is large and dome shaped, which gives the whole watch a very unique look. This timepiece is water resistant upto 30 meters. 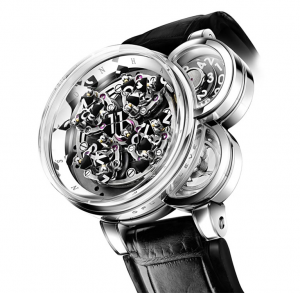 Inside the case is a double tourbillon concept that is meant to increase accuracy as well as visual appeal. The watch features two 25 degree inclined single axis tourbillons with rapid 36 second rotations which neutralize any effects of gravity. 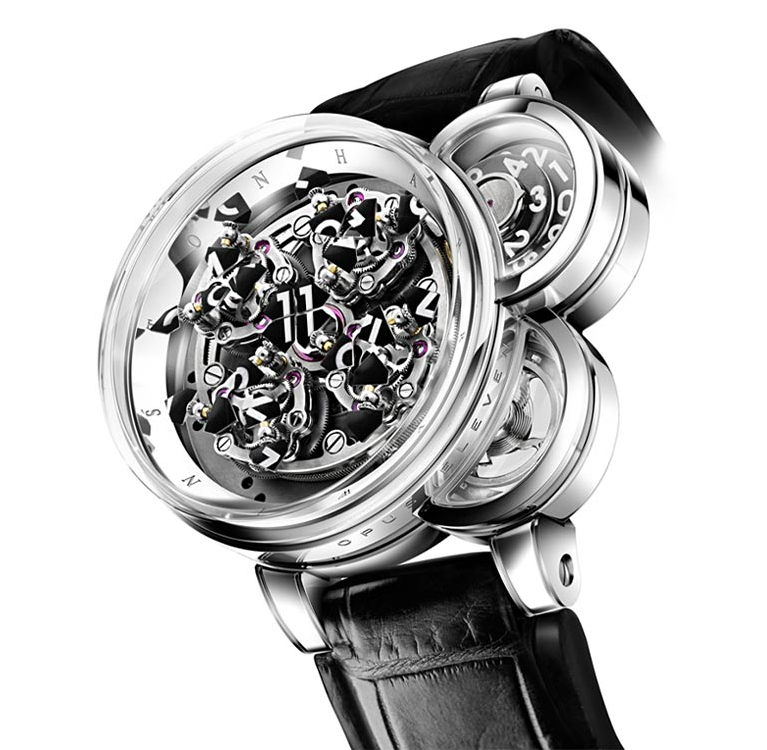 This entire system is comprised of 88 components and each Tourbillon system weighs only 0.46 grams. This dual single-axis tourbillon, which sits at an angle, can be observed through the dial. Sculpted features, along with the reflecting light on the bas-relief bridge, create an illusion of movement that is fascinating to observe. The ruby jewel bearing are also exposed. The watch face display hours and minute hands that are yellow and easy to read as they contrast really well against the busy background and stand out. 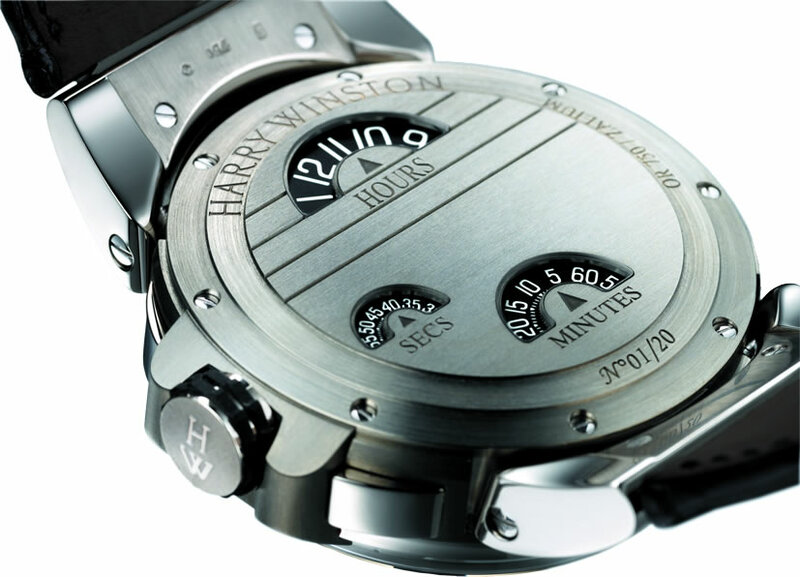 The front rotating disk on the dial displays the hour and minute markers, and there are addition hour, minute, and seconds displayed in the back. All the features work extremely well and cohesively to create one of a kind dial. As mentioned above, the Histoire De Tourbillon 1 comes in a limited edition of 20 pieces so only a handful of people will get to enjoy it. Harry Winston Tourbillon Glissiere is a timepiece that introduces the mechanics of fine watchmaking with an amazing view to the artistry of time. At first glance this rectangular case watch beckons one for a closer view of its mechanical artistry that strikingly resembles the wheels of a full forged ahead steam locomotive howling down the railroad tracks – with all signs pointing to Harry Winston as its destination. This timepiece certainly arrives on time with its limited special edition of 51 pieces. It’s all aboard as this timepiece is pulling out of the station for a journey into amazing watchmaking artistry. Harry Winston, known as the master jeweler-watchmaker of Haute Horology, continues it established tradition of watchmaking to the highest aesthetical detail with its Harry Winston Tourbillon Glissiere watch. The rectangular case features an open dial that exhibits the manual winding and time setting system, its direct drive through the back of the watch to the barrel arbor and under-dial work. On one side of the winding system are two sliding blocks of platinum with have spiked racks that directly engage the winding rachet; the opposite side has a stylized wings that cranks up the ratchet via pinions. The rails for the sliding weights are so smooth – oil would create friction. The flying tourbillon animates the endless wheels through time in precision jumps of six degrees of arc. 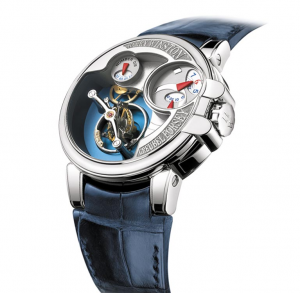 Tourbillon Glissiere is housed inside a 49 mm X 47 mm white gold case with a scratch sapphire crystal. 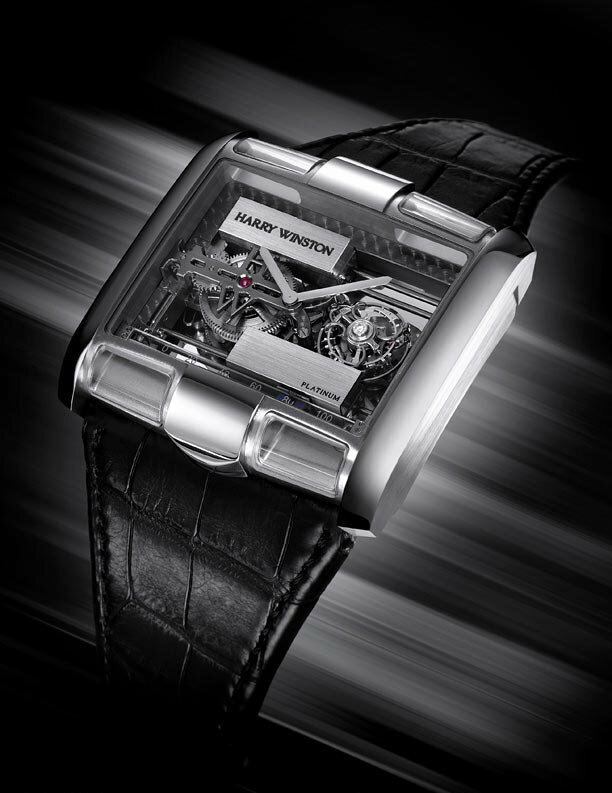 The watch balance runs at 21,600 vibrations per hour and has a one-minute Tourbillon. It has 37 ruby jewel bearings with a diamond end stone. 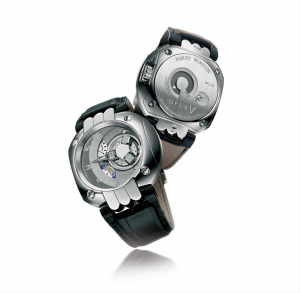 It also features 120 hours of power reserve with single barrel manual winding. 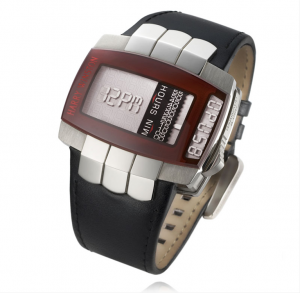 It is water-resistant up to 30m and has a beautiful hand-stitched black alligator leather strap. The Harry Tourbillon Glissiere is a view into the mechanical artistry of jewelry-watchmaking that Harry Winston has perpetuated through high-quality craftsmanship and time honored Swiss watchmaking tradition. 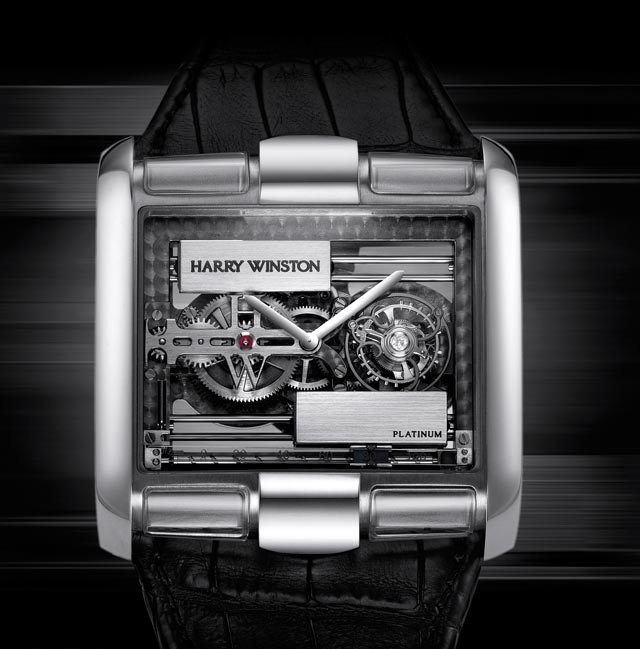 Harry Winston launched into making fine timepieces in 1989 establishing its brand with creative dimensional timepieces. The company applied the same flawless traditions used to produce jewelry in its manufacturing of its timepiece collections. 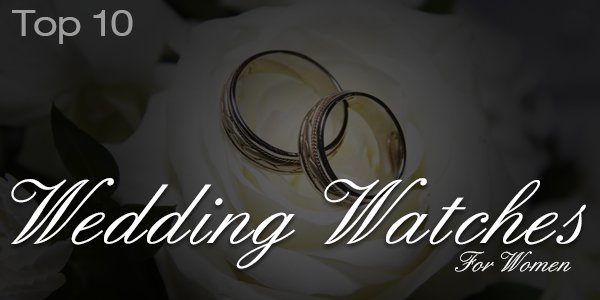 This meticulous practice of excellence and expertise allows the company to produce authentic and luxurious gem-set watches that exemplify fine design with aspiring technical complications. The Harry Tourbillon Glissiere lives up to the technical complication and visual artistry of the brands’ marquee. This exclusive limited edition of 51 pieces is available to distinguished watch connoisseurs that desire a watched steeped in the tradition of artistry. The name Harry Winston often conjures up images of Hollywood and red carpet events however, the name represents so much more. Winston began his foray into jewelry as a young child where he had an eye for high quality jewels at the tender age of 8. In later years, his official launch into the world of jewelry materialized when he accrued the massive jewelry collection of socialite Arabella Huntington and redesigned her extravagant yet outdated collection of jewelry to reflect the taste of modern women. Harry Winston began creating American luxury jewelry in 1932 and has continued to create timeless and exquisite pieces of jewelry that captures the essence of New York and all things glamorous. Winston perfected the art of creating classic and luxurious jewelry and it was only a matter of time before his brand ventured into creating luxury timepieces. 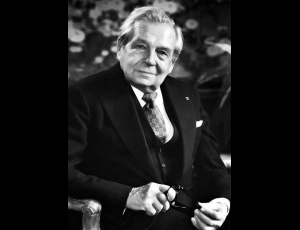 In 1989, the brand took Winston’s vision and expertise in fine jewelry into the world of horology. 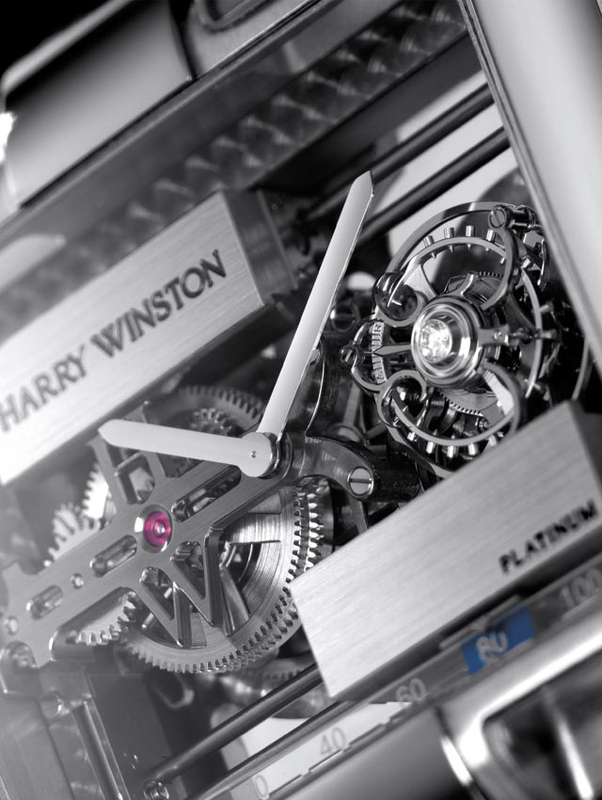 Combining Winston’s timeless and opulent jewelry making style with high quality timepieces made Harry Winston watches very highly sought after. Surely the man behind the Hope and Portuguese diamonds would create only the finest timepieces that are as lavish as his famous jewels. 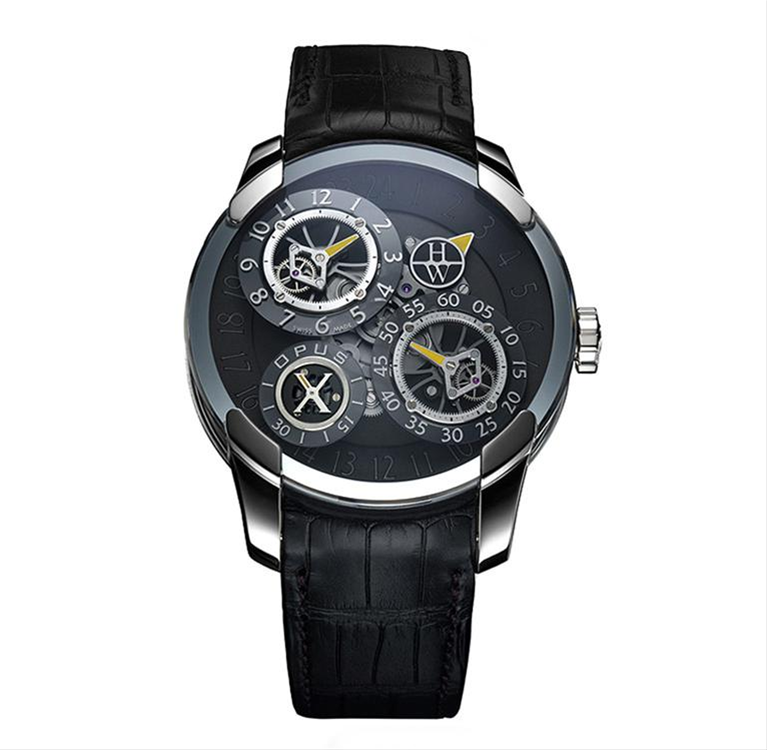 The Harry Winston brand designed and created many superior watches however it was not until 2001 when the inception of the Opus Collection came about and caught the attention of luxury watch collectors. The Opus Collection is a very inimitable and unique collection of luxury watches that could only come from the most innovative and imaginative minds. With no two timepieces alike, the Opus Collection combined radical designs with superior watchmaking to create 12 of the most highly sought after and admired timepieces of all time. Many of the watches in the Opus Collection were created in collaboration with independent watchmakers with a distinct vision. The majority of the pieces in the collection were made in limited quantities making them even more exclusive and extraordinary to the watch collector. The Opus 9 was even awarded the highest honor in horology being named Best Design Watch of the Year from the Grand Prix d’ Horlogerie. Every year, horologists, collectors and admirers of Harry Winston anxiously await the unveiling of the latest addition to the Opus Collection. With many of these timepieces being auctioned at prices well over six figures, even catching a glimpse of these limited edition timepieces are a treat for the eyes. If you are looking to carry on the legacy of the great Harry Winston while owning a piece of history, any of the pieces in the Opus Collection will perfectly fill the bill. Here is the entire collection in the order they were created, scroll down to see them all and leave a comment with your favorite watch in the collection! Harry Winston, the renowned international jeweler and watchmaker, celebrated the opening of its first Shanghai Pavilion in Xintiand by introducing its new collection of luxury watches. The Shanghai Pavilion watches included five luxurious models, two for men and three women. These limited edition collections have watches with beautiful designs and are quite stunning. One of the collections introduced at the event is the Premier Feather limited edition Shanghai timepiece. This beautiful timepiece is a definite showstopper. The watch has a case that is made of 18k rose gold and a bezel that is set with 67 brilliant-cut diamonds. The case is 36 millimeters in diameter and perfect size for many women’s wrist. The dial is very eye-catching with its bold design and colors. It is made of hand-picked red and black feathers. 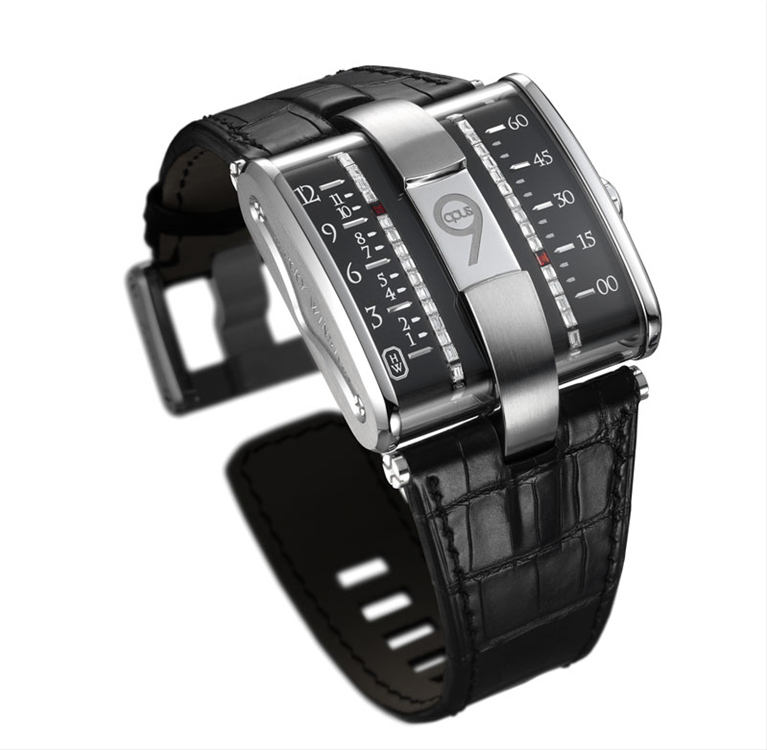 There is only eight pieces of this Swiss watch being sold. Harry Winston Midnight Shanghai collection has another set of limited timepieces for the ladies. This collection has two models that feature beautiful designs. The designs for these models are inspired by the traditional Shanghai residential architectural structure called a Shikumen. Both models show elements of the structure’s overall look. 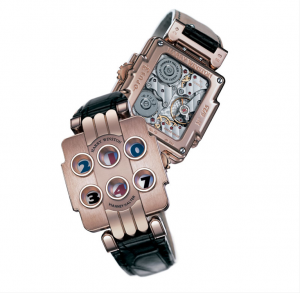 The rose gold model is the smaller of the two and comes in a 32 millimeter wide case. The gorgeous dial is adorned with 84 brilliant-cut diamond lined arches and Arabesque motifs. Coming of the case is a white satin strap that beautifully complements the look of the watch. The second model in this collection is the white gold model. This watch has a black alligator strap and 39 millimeter wide case made of 18k white gold. The dial has geometrical décor made of green jade and onyx and diamonds all around. Both models sport quartz movement and are limited to eight pieces each. The two limited edition models for men are the Midnight Tourbillon collection and the Midnight Tourbillon GMT collection. Like the previous other models, both these watches are also available at only eight pieces each. Both come in a 45 millimeter wide case that is made of 18k white gold with black alligator straps. The case houses a movement that has 110 hour power reserve. The dials of both models are unique and very attractive with splashes of red seen amidst the dark background and a visible tourbillon. There are few differences between these two models. Unlike the standard model, GMT has two time displays and a city indicator for local time in addition to the power reserve indicator. 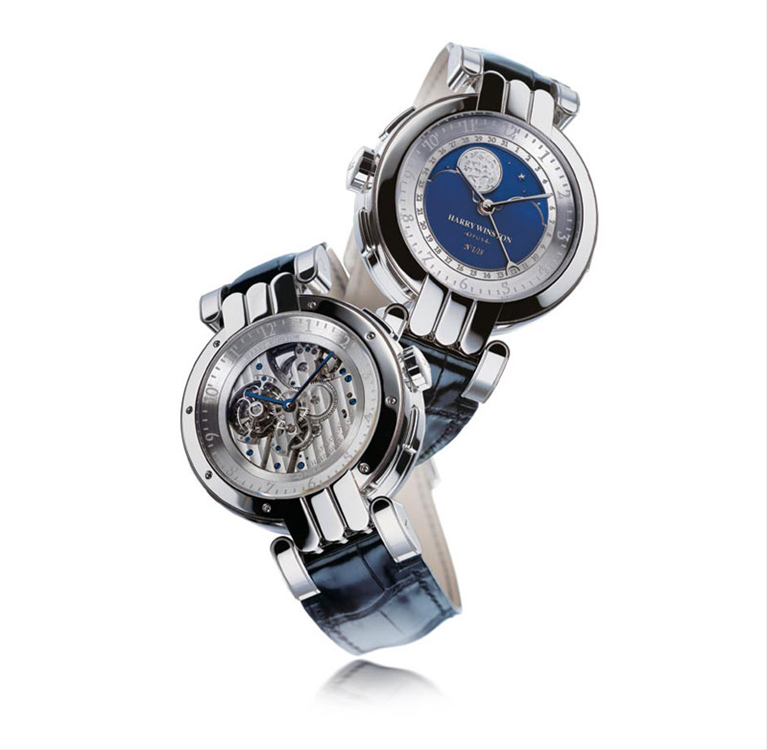 All the limited edition Harry Winston Shanghai Pavilion Watches can be found in Shanghai, China. They are all beautiful watches that have nicely incorporated Chinese tradition in some way.